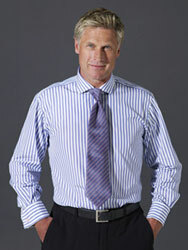 What is known in English Shirtmaking as an updated classic. A traditional stripe brought to life by this clever use of colour. 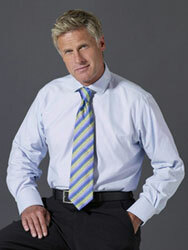 Cut loose with the tie.